Garage Door Repair Bothell WA is at the service of each local resident! Do you need to arrange an opener repair? Did the torsion spring snap? Interested in installing a new rollup or overhead door? Whatever you need, our staff can handle it. Our long experience enables us to understand that such needs require a professional approach. Everything is vital when it comes to garage doors. From the style you choose to their installation and the quality of all repair services, everything matters to your safety, security and convenience. When you contact us to help you, we always send an experienced and certified Bothell garage door repair pro over. Apart from fixing up problems, he can also replace parts and openers or offer an estimate for the replacement of a door. Should the existing door is outdated, damaged or not reliable, our company can provide you with a new one. But first we need to understand exactly what you need and which opener would match perfectly with the door. So we send out a tech to talk to you and check out the garage in order to provide offers, suggestions, and quotes. The installation garage door service is done correctly by experienced pros at a time of your convenience. Apart from providing and installing doors, we can set same day garage door repair but also maintenance services. The last thing you want is to try to open the overhead door to go to the Freedom Festival, a Music in the Park concert or the Pop Keeney Stadium and discover that the door won't open or close. To avoid such problems, you can make regular preventive service appointments with us. You should call us to send out a tech to check out noises or replace the worn parts, like the hinges or rollers. When it comes to garage door opener repair services, the response is always prompt and the techs do whatever necessary to ensure the good and safe operation of the door. You can also have the fast assistance of local techs when the garage door springs and cables break, the door comes off, or the tracks are misaligned. Not only do we help fast but can arrange for the pro to have the necessary replacement parts in the truck. We always look after your needs and do our very best to cover them in a professional and prompt manner. Do get in touch with us no matter what you want. 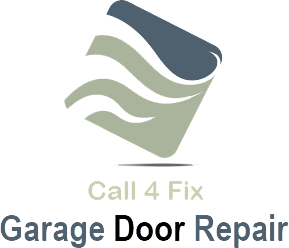 Call4Fix Garage Door Repair Bothell and your requests will be covered in no time.